The twin cab which Sakenasa Buretabua was driving. 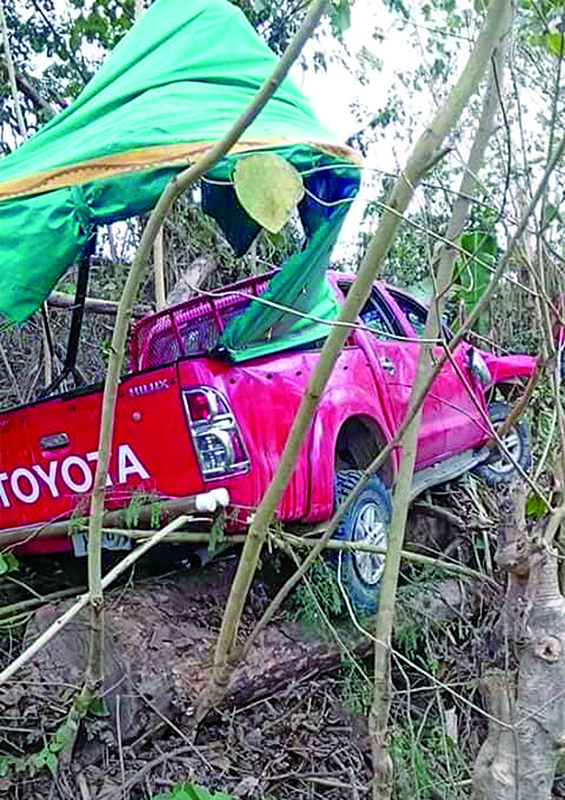 It was a difficult situation for Salanieta Drodrolagi to fathom as she recalled her goodbye to her uncle, who minutes later died in a tragic road accident. It was a Saturday evening just like any other for the 23-year-old, who had been sitting comfortably right next to her uncle, Sakenasa Buretabua, at their home at Sowene, Navosa. It was about 4.30pm and the family had been preparing dinner. Realising some groceries were short in supply, Mr Buretabua, 38, decided to go to a nearby shop with some of his friends to purchase them. “He said that we had to boil cassava and that he would bring some other stuff from the shop,” Ms Drodrolagi said. As her wait started to get longer Ms Drodrolagi saw some villagers passing by her compound. It seemed normal at first, thinking it may have been a visitor casually walking by. But, the tragic news of her uncle’s death was soon brought to her. An accident had occurred nearby. The details of the accident are sketchy as Police continue investigations. “At first, I had hoped that it wasn’t his car in the accident,” she said. The site of the accident is just a five-minute walk from their house. Ms Drodrolagi said coming to terms with her uncle’s sudden passing was not easy. “We were close,” she said. “I confided in him a lot. “He treated me just like his daughter. Ms Drodrolagi said her late uncle had also made a promise to her grandfather that he would buy something for him since it was Father’s Day. “He wanted to do something for his father,” she said. Mr Buretabua was not married and is survived by his mother, father, four sisters and a brother. 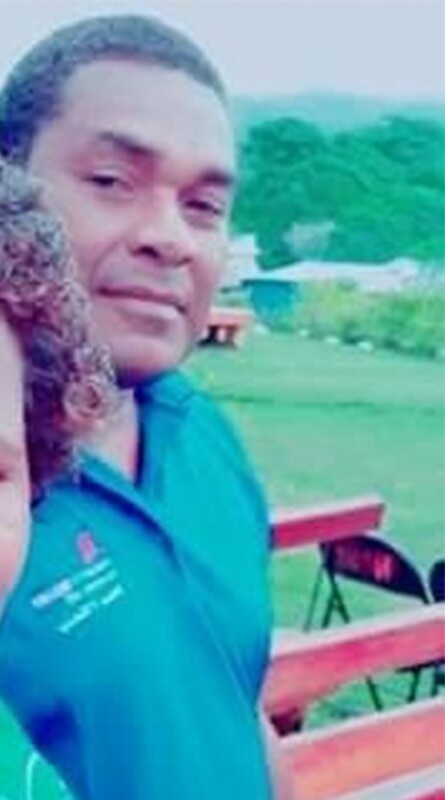 Police spokesperson Ana Naisoro confirmed that a 38-year-old man died after the vehicle he was travelling in was involved in an accident. The victim was thrown out of the vehicle and died instantly at the scene. 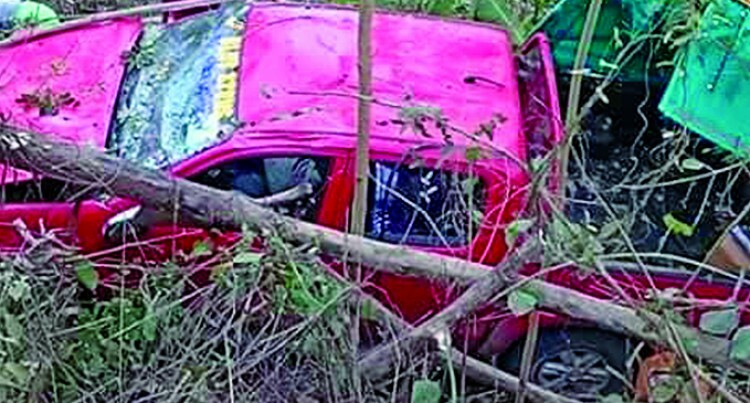 Fiji’s road death toll now stands at 47, compared with 41 for the same period last year.